Agreement between the Spanish Government and the Holy See, of June 7, 1941, on the Way in which the Privilege of Presentation is to Be Exercised. 1. As soon as a vacancy shall arise in an Archiepiscopal or Episcopal See (or in Apostolic Administration), or when the Holy See shall deem it necessary to appoint a Coadjutor with right of succession, the Apostolic Nuncio shall make contact in a confidential manner with the Spanish Government, and once an agreement in principle is reached, he shall send to the Holy See a list of names of suitable persons, the number of at least six. 2. The Holy Father shall select three of these names, and shall communicate them to the Spanish Government through the Apostolic Nunciature, whereupon the Head of State shall officially present one of the three within a space of thirty days. 3. 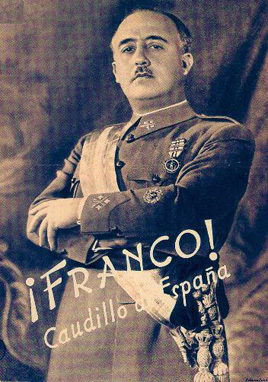 If the Holy Father, in his high judgment, should not deem all or some of the names in the list to be acceptable, and should thus be unable to choose three or any one of them, he shall on his own initiative complete or specify a trio of candidates, and communicate this through the same channel to the Spanish Government. If the latter should have objections of a general political character to all or any of the new names, it shall declare them to the Holy See. Should thirty days elapse from the date of the aforesaid communication without a reply from the Government, its silence shall be taken to imply that it has no objections of that nature to the new names, and it shall be understood that the Head of State will then, without more ado, present to His Holiness one of the candidates included in the said trio. On the other hand, if the Government states such objections, negotiations shall continue, even after the expiry of the thirty days. 4. In any event, even when the Holy Father has accepted three of the names sent, he may always suggest new names in addition, which he will add to the trio, and then the Head of State may freely present one of the names in the trio or one of the supplementary names suggested by the Holy Father. 5. All these preliminary negotiations shall be completely secret in character, the secret being particularly maintained with regard to the persons up to the moment of their appointment. 6. The Spanish Government, for its part, formally engages to conclude, as soon as possible, a new Concordat with the Holy See, informed by its desire to restore the Catholic sense of the glorious Spanish tradition. The present Agreement shall be in force until its rules are incorporated into the new Concordat. 7. As regards the provision of non-consistorial benefices, appropriate negotiations for the conclusion of another Agreement, in which the rules for their provision shall be laid down, will be opened at the moment when the Agreement is signed. The Church, whose proper and natural privileges include the provision even of those non-consistorial benefices over which the Spanish Crown has in the past enjoyed particular privileges, is nevertheless prepared to make some concessions to the Spanish Government on this point also. 8. Until the question has been permanently settled in the future Concordat, Prelates may freely proceed to the provision of Parishes, under the rules of Canon Law, without more ado than that of notifying the Government of the appointment before the incumbent takes possession, against the exceptional event that the Government should have some objection to raise to the appointment for reasons of general political character. 9. Until such time as a new Concordat is concluded, the Spanish Government engages to observe the provisions contained in the first four articles of the Concordat of the year 1851. 10. During the same period the Government engages not to legislate upon mixed matters or upon such matters as may concern the Church in any way, without previous agreement with the Holy See. Thanks to Zachary Wareham for his transcription.